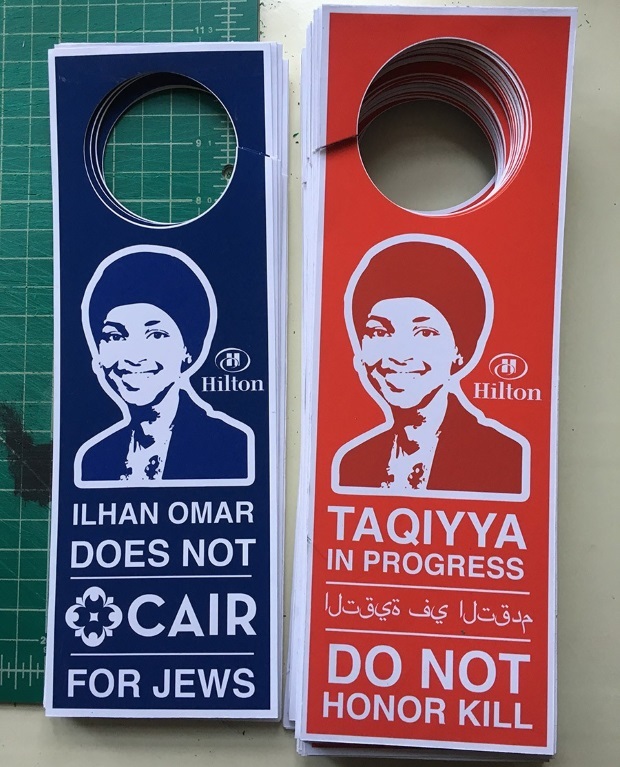 Ilhan Omar greeted by hundreds of protesters, building banners at CAIR fundraiser. Sabo adds unforgettable street art. Democrat Congresswoman Ilhan Omar was confronted by as many as 1,500 protesters outside a Hilton hotel in Woodland Hills, California, where she spoke at a March 23 fundraiser for Muslim activist group CAIR, the Council on American–Islamic Relations. CAIR has significant ties with the Muslim Brotherhood and the jihadi terrorist groups Hamas and Hezbollah.